Love knows no bounds, the movie called Life Itself is almost here and ready to hit the big screen. Oscar Isaac and Olivia Wilder will be doing a fairytale-romance kind of movie, along with the drama in life on which people can relate in their true life. The movie is directed by Dan Fogelman who works successfully on the movie series “This is Us”. The movie feature broader idea about an enduring relationship by studying different kind of relationships all the way through many generations which bring the characters of the story in Spain and New York City. Oscar Isaac has been playing several movies in the past and become very popular because of his role. He was seen in the movie Star Wars franchise and Apocalypse in the X-Men franchise. While his leading female character Olivia Wilde has work as well in many movies in the past in different genre from comedy to drama. There will be huge star in the movie such as Olivia Cooke, Mandy Patinkin, and Antonio Banderas. 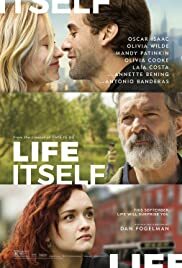 After the Amazon Studios releases the Life Itself’s movie trailer, it is definitely showing that the movie is packed with melodrama. Then it shows to strong connection between Will (Oscar Isaac) and Abby (Olivia Wilde). Be sure to watch the movie because it brings a wonderful story you will not regret.